I spent the day at Rocky Mountain National Park. Early spring, and the upper elevations are still closed due to snow. There were a number of birds and mammals looking for food. 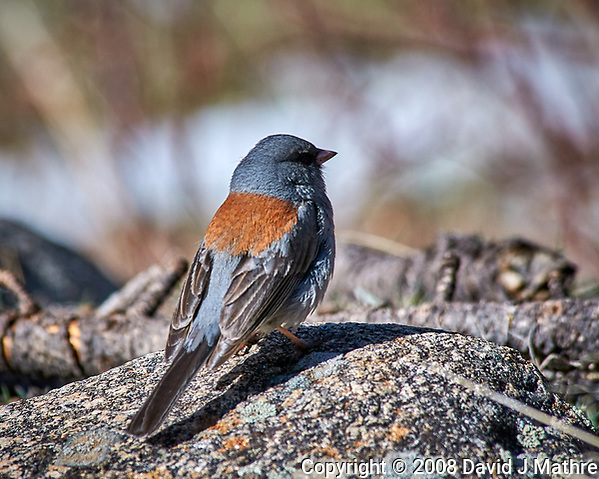 I finally was able to identify one of the birds that I took a picture of that day as a Grey-headed Junco. I also spent some time using a 24 mm f/3.5 PC-E lens to do some landscape images.